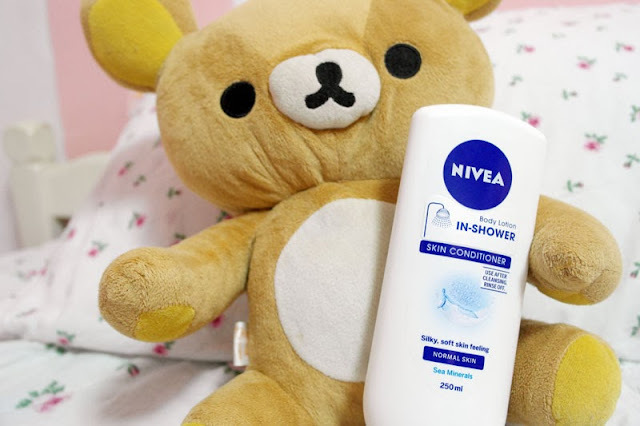 A simple question for you girls, do you use body lotion after you shower? I bet many of you doesn't cox I don't use it too LOL. To be honest I really hate using lotion because most of the time all the lotions will leave a sticky feeling on your skin and it's so uncomfortable. Are you the same like me? If yes, this product will definitely be relevant to you so read on! So here comes the question, WHY DO WE NEED TO MOISTURISE OUR SKIN ? A: It makes our skin soft and supple! I mean which girl would want to have dry wrinkly skin right? So is there a lotion that is not time-consuming, not sticky and SMELL REALLY GOOD? I'm currently using the one for normal skin because I don't have dry skin but if you have dry skin the blue bottle is for you! 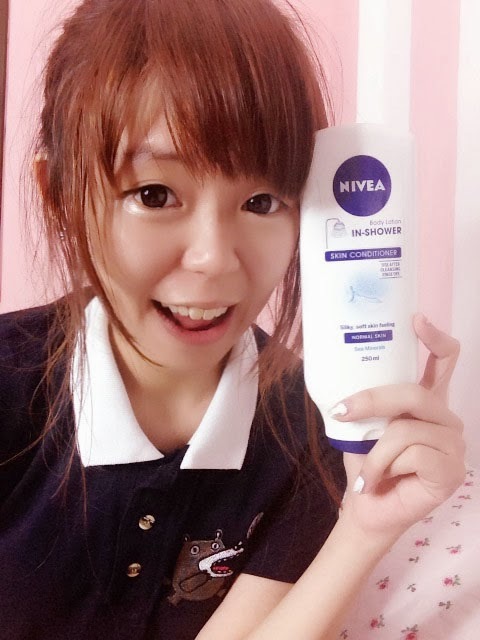 Like the name suggest, it's an In-Shower Body lotion, so you can use it directly after you finish showering. Use your normal shower product and rinse off like how you shower normally! Apply the conditioner while you're still in the shower. The water-activated formula wil absorb fast into your web skin!!! Rinse off the lotion with water! Get dressed and you're done pampering your skin ! YAY TO MOISTURISED, SOFT SMOOTH SKIN WOOHOO. It's currently priced at $7.90 per bottle of 250ml. 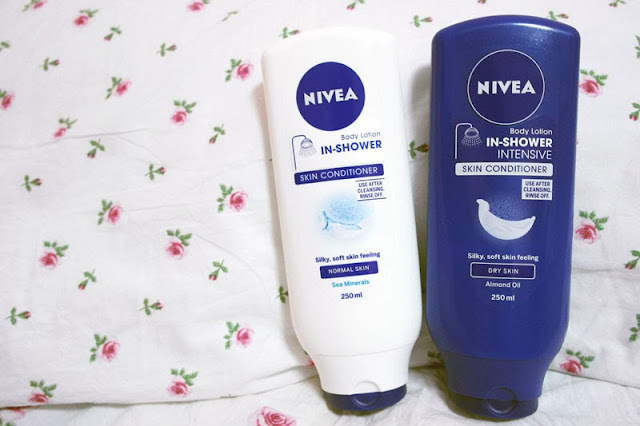 For more info, hop on to Nivea's facebook page for more details!